The Deep Carbon Observatory Science Network was well represented at the 2017 Goldschmidt Conference in Paris, France, from 13-19 August 2017. DCO delegates presented well over 150 papers during the course of the week and actively participated in the many DCO-related sessions and events. Some of DCO’s communities and projects, including the Executive Committee, the Deep Energy Community, and the Biology Meets Subduction scientific party, leveraged their time in Paris to organize meetings of their own. The conference was a huge success and a positive reflection on DCO Deep Life Steering Committee member Antje Boetius (University of Bremen, Germany), who served as organizing and science committee chair, and Reservoir and Fluxes Scientific Steering Committee member Bernard Marty (CRPG Nancy, France, shown left), who began his term as president of the European Association of Geochemistry, which co-organizes the Conference. 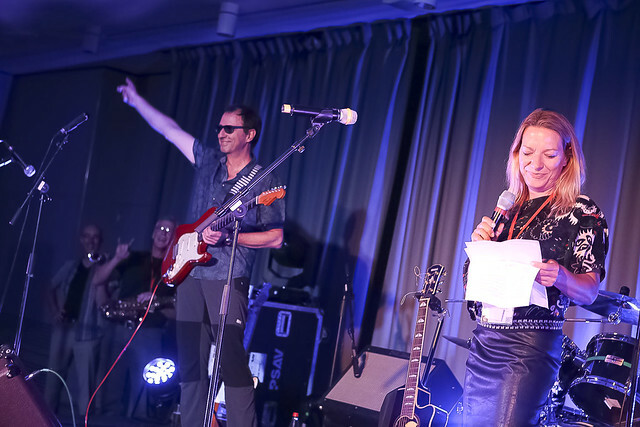 And if his contribution to Goldschmidt's organization wasn’t enough, Bernard’s band Double Scotch headlined Monday’s “Goldschmidt Rocks” party. The following is a quick survey of DCO activities at Goldschmidt 2017. Goldschmidt presented medals to four members of the DCO community. Eiji Ohtani (Tohoku University, Japan and a member of DCO’s Executive Committee, shown right) received the 2017 Harold Urey Award, recognizing outstanding contributions advancing geochemistry over a career. 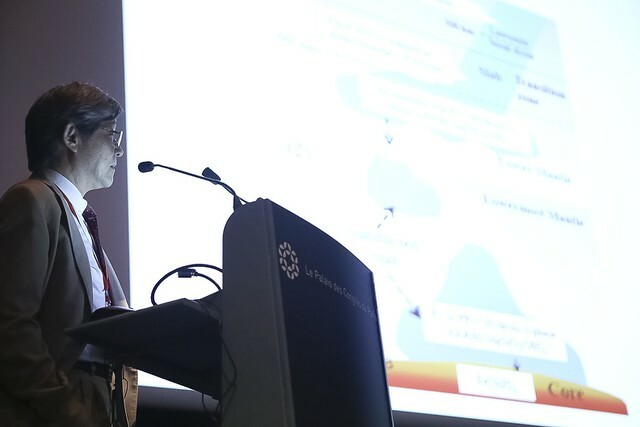 In his address, Ohtani discussed the fate of volatiles in the deep mantle and light elements in the core. 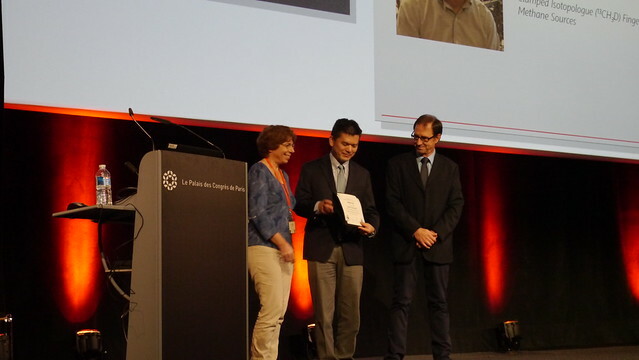 Honoree Shuhei Ono (MIT, USA and a member of the Deep Energy Community) delivered the Paul W. Gast Lecture, which honors a mid-career scientist for outstanding contributions to geochemistry. He discussed clumped isotope fingerprinting in methane. 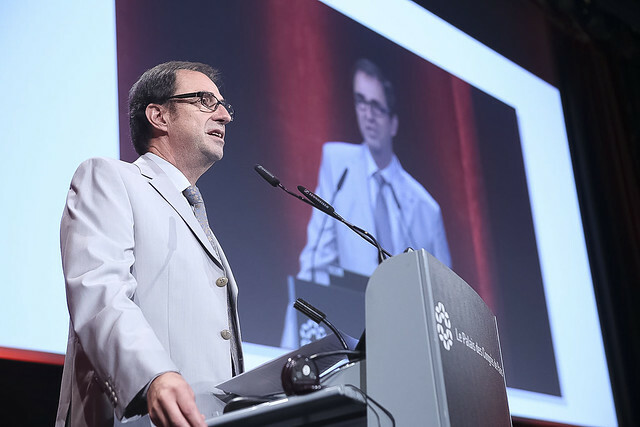 The CC Patterson Award lecture honoree Kai-Uwe Hinrichs (MARUM University of Bremen, Germany) addressed the recent advances in the microgeochemistry of microbial lipids. Hinrichs, who is a DCO Executive Committee member and Deep Life Community co-chair, was also named a 2017 Geochemical Fellow. Deep Life researcher Jill Banfield (University of California, Berkeley, USA) received the conference's top honor, the 2017 V.M. Goldschmidt Award, in recognition of her work in the structure, metabolic potential, and functioning of natural microbial communities in sediments, soil, water, biofilms, and animals using new methods in molecular geomicrobiology and microbial ecology. A sure sign of a successful scientific community is the number of concurrent sessions held by its members. Many sessions on deep carbon science occurred throughout the week, including an all-day oral and poster session on "Deep Carbon," and DCO scientists presented 23 papers, written by 103 authors from 15 countries. Members of the DCO community were visible for the duration of the conference and easily identified by a red DCO ‘c’ on their name badges. The conference made for a reunion of sorts, as alumni of previous DCO workshops and summer schools reunited in the hallways. A list of DCO-related sessions is available here. Session highlights also are available on DCO’s Twitter feed. Kerstin Lehnert (Columbia University, USA and a member of the Reservoirs and Fluxes Community) conducted a successful lunchtime workshop dedicated to online sample registration. DCO co-sponsored the workshop for it helped to advance a key DCO goal of ensuring that samples are available for future research activities. Lehnert surveyed the tools available for registering samples, extolled the benefits of building a personal sample catalog, and emphasized the value of using the International Geo Sample Number for citing samples and collections in publications. 2017 marked the launch of the Goldschmidt Film Festival organized by Wild Orbit Films. 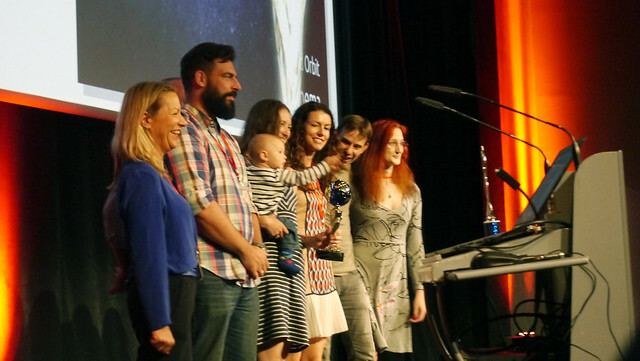 The DCO-produced film Biology Meets Subduction was awarded first prize from a pool of 92 submissions. The film follows a group of DCO scientists on a unique 12-day sampling expedition across the Costa Rica convergent margin as they investigate volcanic sites through the lenses of biology, chemistry, physics, and geology. The Biology Meets Subduction project is part of a DCO effort to cultivate interdisciplinary products and activities to explain carbon in deep Earth. 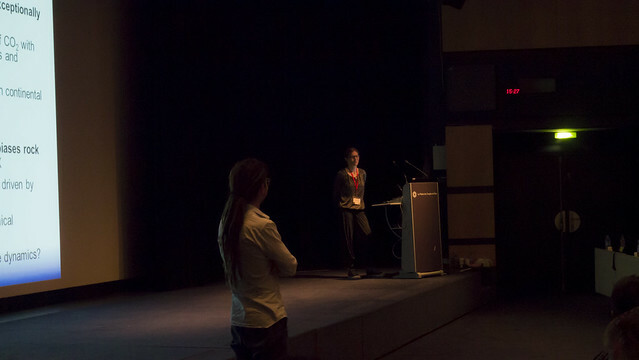 The prize was announced prior to Shuhei Ono’s Gast Lecture on Friday afternoon. DCO’s Peter Barry (Oxford University, UK), Karen Lloyd (University of Tennessee, USA), Donato Giovannelli (Earth-Life Science Institute, Japan), and Katie Pratt (University of Rhode Island, USA) joined the film producers Justine Simonson and Marcus Lehman on a panel on Thursday evening where they fielded questions about the film experience. 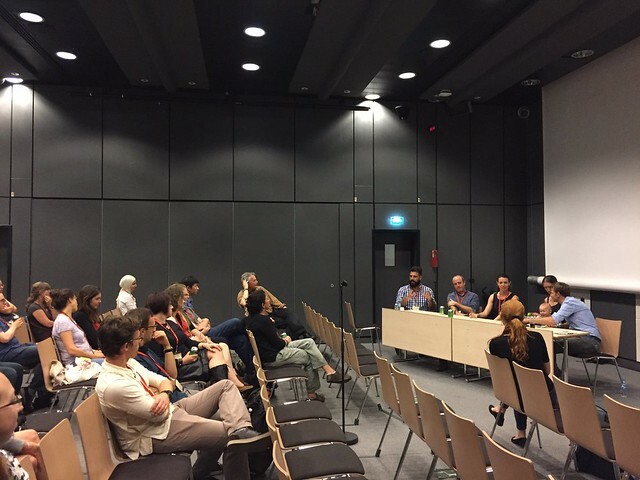 View tweets from Goldschmidt 2017. 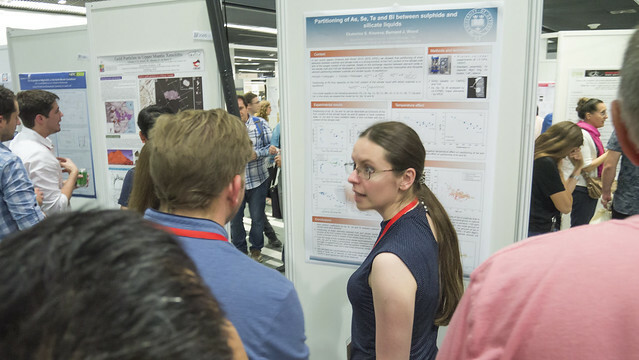 View a DCO at Goldschmidt 2017 photo album. Sonja Aulbach (Geothe University, Germany) fields questions after her keynote. Shuhei Ono accepts the Paul W. Gast Award. DCO Biology Meets Subduction team accepts top honor for their film documenting interdisciplinary field work in Costa Rica. Bernard Marty and Antje Boetius keeping the "Goldschmidt Rocks" party rolling. Credit Gaël Kazaz/Goldschmidt. (Other photos credit to Katie Pratt/Josh Wood/DCO Engagement Team).